Good Morning Peeps and happy Sunday. I felt like the ‘Style Icon’ section deserved a comeback and a little update. I am pleased to have found just the guy to make that comeback with. His name, George Cortina. His occupation, Stylist for the most impressive magazines and celebreties around. When you hear the name George Cortina, you think of a tanned fit Italian dude, long hair and tattoos. Wrong! This man, born and raised in the city of Miami, America, is through and through American, however, his style aint. He is not your everyday style icon, and most of you might not even know him, so here is a little background about the man in question. “I saw the first book that Avidon did, when I was very young and nearly lost my mind. I wanted to live in that world” Mr. Cortina says this in an interview for the New York Times back in 2006. He jokes about saying that he “sort of fell” into the fashion world but, in reality, styling is all he ever wanted to do. There is not much about Cortina on the web, so explaining where he comes from and what he did before is difficult to determine. What can be seen however, are his hands at work in many of our magazines we read today. He is not only styled but graced the magazines such as Vogue, Vanity Fair, V Magazine and many more, but has also made some of our favorite celebrities pretty infront of a camera. 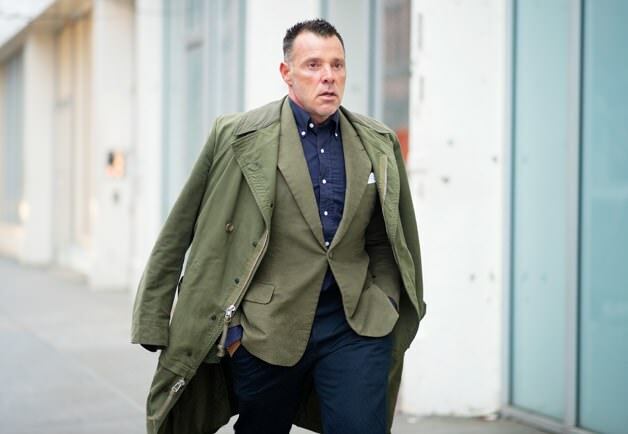 He is a true artist, a true lover of fashion… and for us here on the Dons Club, a true Style Icon. So what makes this man an Icon? Simple! The man has taste! Stepping out of Fashion Shows, entering Dinner Galas or attending the Golden Globes, it dont matter, the man simply looks impeccable every time. The great thing about his style, simplicity. Nothing in his wardrobe screams attention. It is laid back, swag and down to earth cool. 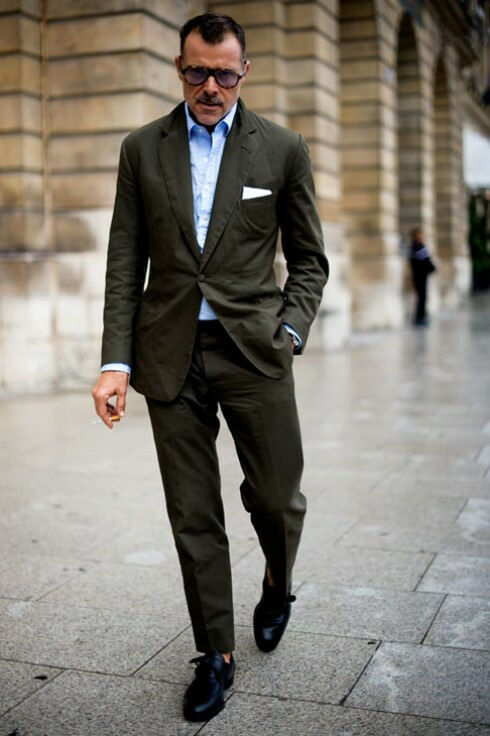 He prefers to wear neutral colors such as brown, blue, khaki green, beige and black. 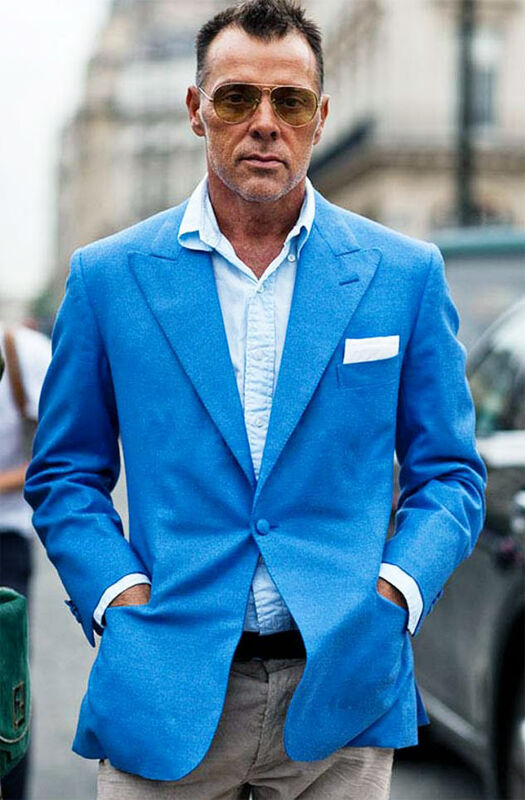 His favorite pieces in the summer include a pair of laidback slimfit pair of light colored jeans, or tailormade cotton trousers that work with absolutley everything the man has in stock, and tailor made pieces such as a blazer to feed every mans desire to look good even on your off days. If you look closely, his eye for detail can be seen in each look. 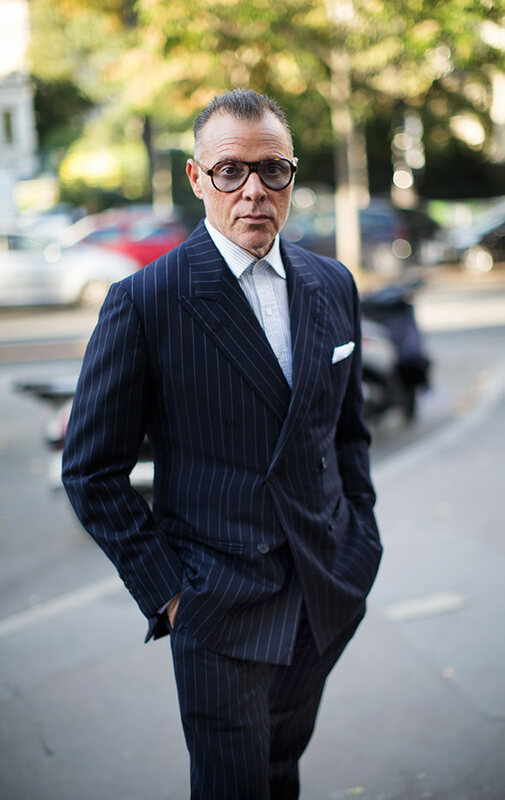 Tuxedo buttons on a suit, opened single monks and pulled up shirt sleeves in an unsual way, make his style what it is, Sprezzatura at its best!!! 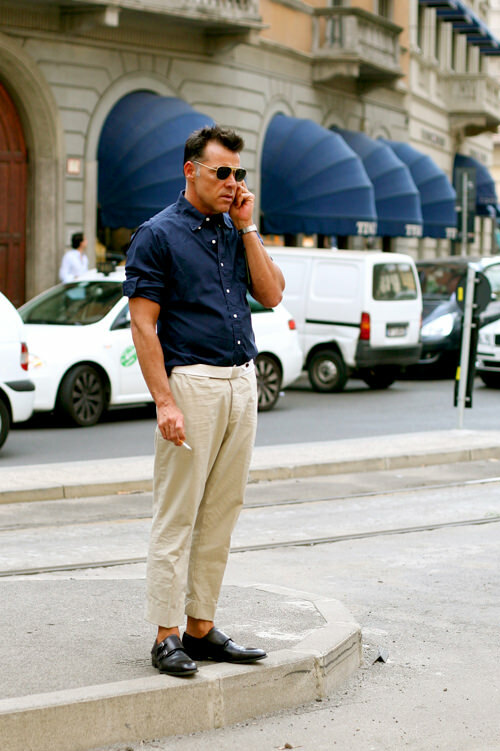 My verdict on his style… It’s those men we need to focus on. Those that dont seem to make an effort and look so good doing it. One of the most famous pictures of George Cortina. 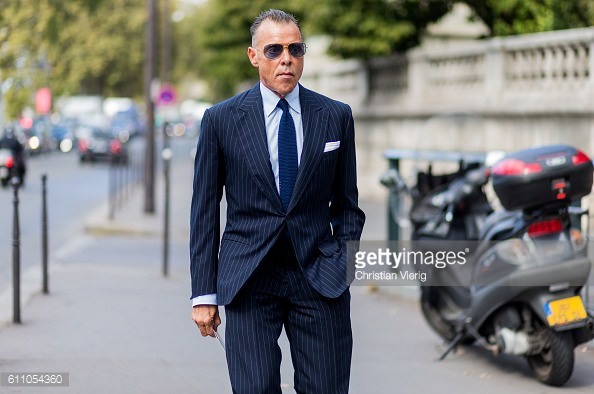 Picture taken by TheSartorialist.